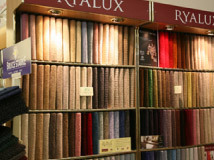 Transform your home with quality carpets and soft furnishings from Richard Coxeter Limited. Based in the centre of Abingdon, we are well-known for quality, professional service and value for money. You don’t need to choose between good quality and great prices here. We take a real pride in our professional carpet measuring service which minimises wastage and keeps our prices very competitive. Need help choosing? We offer unbiased, independent advice on carpets and flooring to help you choose and we’ll visit your home to measure up and provide an estimate. 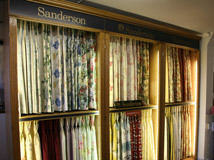 We have a selection of carpet and curtain fabric samples to help you select the right colour combination. There is no obligation to buy; it’s all part of our service. 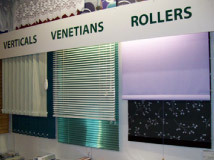 Come and take a look around our spacious showroom. 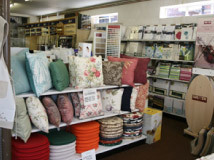 As well as plenty of samples of carpets, floorings and curtain fabric, we stock an excellent selection of nets, bedding, linens and lots more. We have ample free parking at the rear of the showroom. Call us today to enquire about our service.